LYNCHBURG, VIRGINIA--Maybe there's something about first attempts. 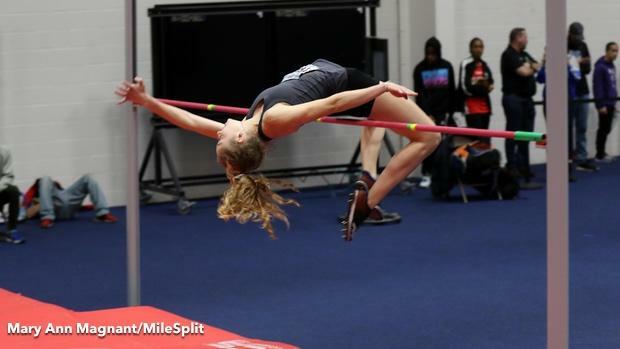 Maybe just seconds before her record clearance at The VA Showcase, Shelby Tyler wasn't worried about who she needed to beat, or concerned about the near silence of the crowd as she approached a bar that she knew she could fly over. The Indiana native probably didn't worry about any of that, not one bit. Because maybe during record attempts there's a little bit of joy in the mystery. So Tyler went to her mark, which was a little white dot on the blue track about 60 feet from the pit. She had been moving back about a foot with each successful attempt, one step, two steps, three steps, before finally it seemed right. She lined up on her flight path, envisioning the curved run that would start on the left side. Then she aligned her body, established weight on her right foot. She went to her tip-toes and then back down, and before long she was pushing off, rounding the corner, flying up into the air, exploding off that right foot, curving her back, angling her legs, flicking them up in the air. And maybe when she finally did look up, then it truly started to sink in. 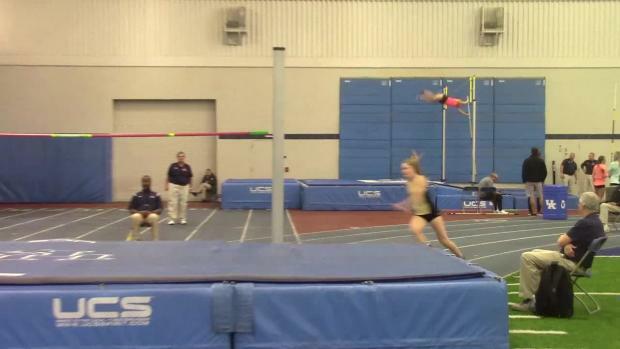 "Shelby Tyler clears 6-feet, an Indiana state record!" the meet founder Nolan Jez said. That wasn't entirely true. Tyler had tied an Indiana indoor state record that had stood since 1985 when Angela Bradburn had cleared 6-feet at the Bomber Boiler-Relays. But it was special. 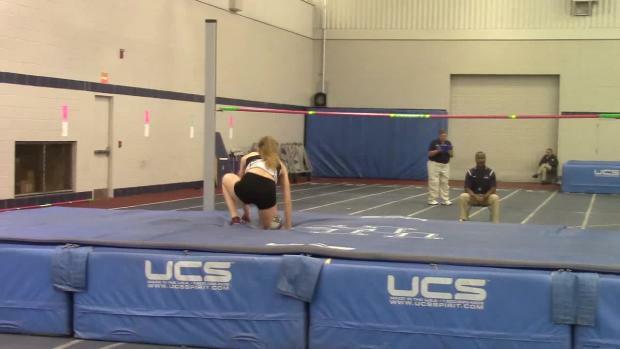 The Noblesville High School senior became the first girls athlete to clear 6-feet on Virginia soil. It was also a career best for Tyler indoors, tied for the No. 20 all-time best effort nationally, and it followed an extremely promising junior season, when the leaper won the high jump at the USA Junior Championships at 6-0.75, qualified for the IAAF U20 Championships and then leapt 6-0.5 once again, qualifying for the finals before finishing in 11th. Quite clearly, it was the best possible outcome for her. And Tyler had felt ready to go for the competition all day long. Her mother, Maria, had watched from the sidelines, making it just a tad more special. "My mind was focused, I kept it blank all day," Tyler said. 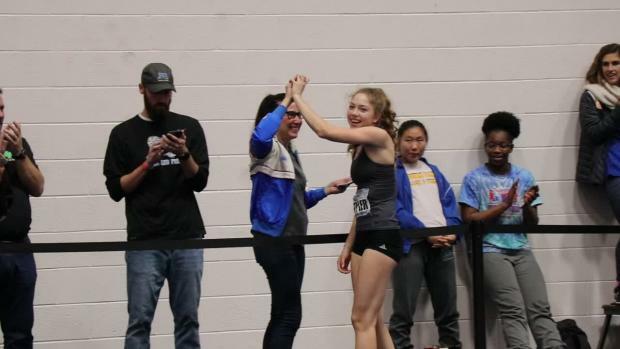 Tyler's career had been changing fast and heavy ever since she tied her laces that junior year, when she had cleared 6-feet for the first time at her sectional meet at Hamilton Southeastern High last May. 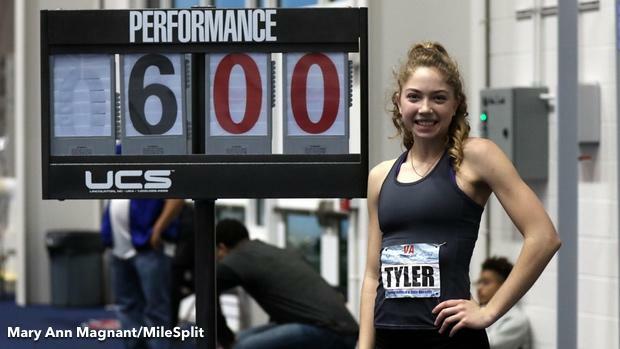 But after that USA Junior Championship meet in Indianapolis, and her qualification to the world meet in Tampere, Finland, something clicked in Tyler's mind. There was no going back. "The entirety of my junior year was about reaching 6-feet," Tyler said. "And once I got over it, it no longer seemed like such a barrier. I felt like in my mind it was an easier path to cross." 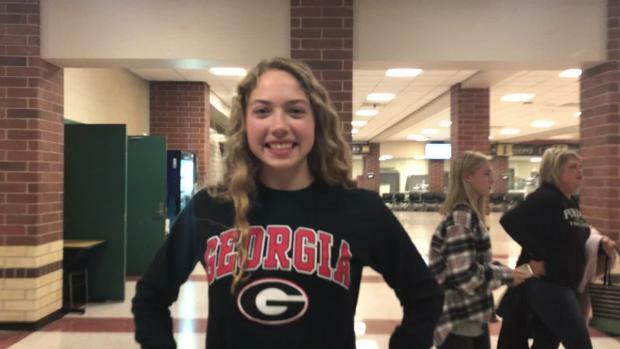 Tyler was recruited by some of the best programs in the nation over the spring, including Oregon, Tennessee, Alabama and Stanford, though she eventually signed with the University of Georgia in November, contributing to the Bulldogs blue-chip class. Her plan was to open the season here at The VA Showcase. But even Tyler's goals were tempered, facing off against nationally-elite competitors like Sydney Banks, Jenna Rogers and Morgan Smalls. "To be honest, my goal was to go 5-10 this meet," she said, remarking how in her junior season she had cleared 5-11 to finish her season. But in the moment, and as the attempts flew by, those expectations left her mind and all that was left was the bar. The entire field cleared 5-4, though Tyler was one of the only competitors to miss at 5-6. And yet, she brushed it off, hitting ensuing attempts at 5-8 and 5-10. "I made it my priority to get over the next ones and then I felt better and felt more comfortable in my approach, so that helped a lot," she said. Before long, it was only Tyler and Smalls left at 6-feet. The Indiana prep remained confident. "This year I feel physically and mentally stronger," she said. "I just feel like I'm at a place and it's nothing like I've ever been jumping before." Tyler hit her first attempt at 6-feet, while Smalls followed with three straight misses. She attempted three more marks at 6-1, hitting the bar twice on her backside on the first two runs, and then got a better effort on the third, narrowly missing a clearance. "I think this was a really cool experience," she said. 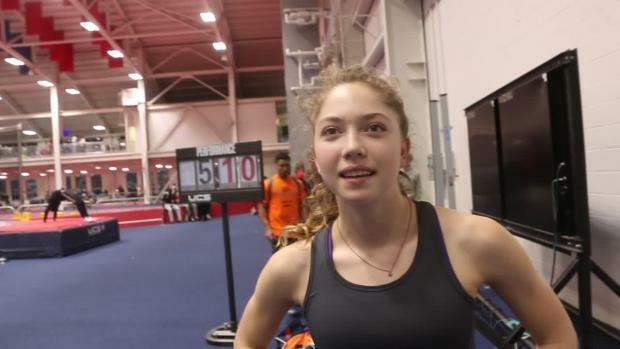 "Never have I been to an indoor meet like this was so much talent. I think it's the deepest field I've ever jumped against." Moving forward, Tyler said there's nothing left to do but raise her goals higher. 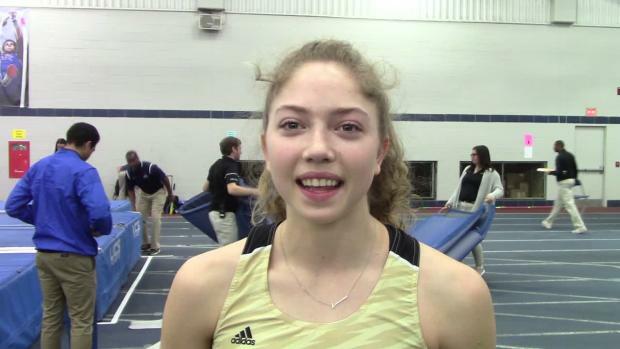 She's set her sights on an Indiana indoor national record of 6-1, and will aim to win a national title at New Balance Nationals Indoor, which is an invitational she's never competed at. "I know I can do it," she said.